ATPase molecule. Computer model showing the structure of the central stalk of an ATP synthase (ATPase) molecule from a cow. 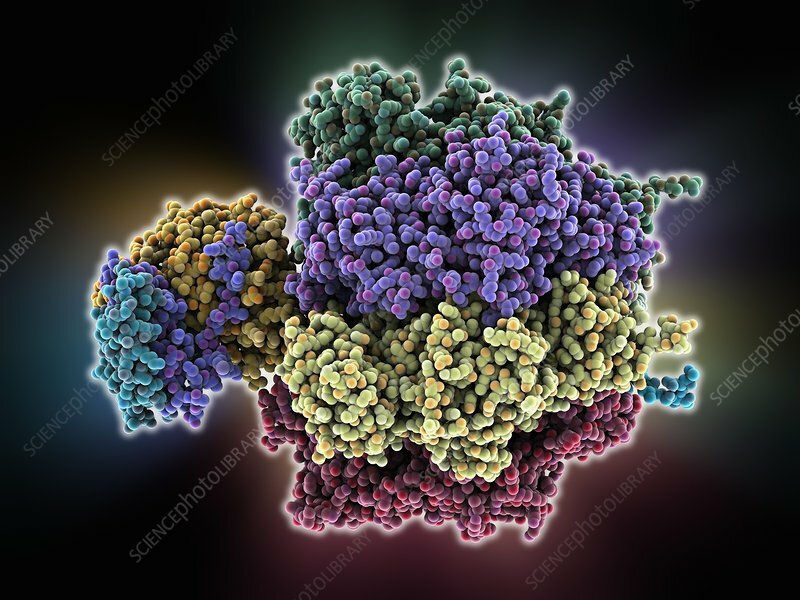 ATPase is an important enzyme that provides energy for cells through the synthesis of adenosine triphosphate (ATP) from adenosine diphosphate (ADP) and inorganic phosphate.